Gueuze - When 'sour' is good. Amongst beer aficianados, some call them beer geeks but we know passion when we see it, sour beers are amongst the best beers available. On par with fine wines, these are special beers that take time, talent and occaissionaly a little luck to make. We are opening the ABBF festival with the "Sour Fest." The Festival will feature a selection of over 40 of these on draft and in the bottle, one of the largest offerings ever available at one place. So, a little background. What are Sours? From Wikipedia: Sour beer is a beer style characterized by an acidic, tart, sour taste. “Good” sour beer is largely differentiated from “bad” sour beer by virtue of intent and intensity. When you plan for sour, you formulate a beer with enough body to balance the tart heart. See Sour Beer Trend. Good sour should be like tart apples or citrus, not like vinegar (bad!). BREWERS of barrel-aged sour beer take risks and practice patience. They wait as long as three years to see whether the cloudy liquids resting in oak ripen into shades of gold or raspberry and develop the ideal tart, tangy flavors, or become undrinkable, ravaged by aggressive yeasts. It’s an expensive gamble. The Beer Judging Criteria Program (BJCP) identifies six styles of sour ale, five are from Belgium. 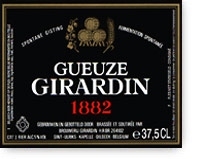 Comments: Gueuze is traditionally produced by mixing one, two, and three-year old lambic. “Young” lambic contains fermentable sugars while old lambic has the characteristic “wild” taste of the Senne River valley. A good gueuze is not the most pungent, but possesses a full and tantalizing bouquet, a sharp aroma, and a soft, velvety flavor. Lambic is served uncarbonated, while gueuze is served effervescent. IBUs are approximate since aged hops are used; Belgians use hops for anti-bacterial properties more than bittering in lambics. Products marked “oude” or “ville” are considered most traditional. History: Spontaneously fermented sour ales from the area in and around Brussels (the Senne Valley) stem from a farmhouse brewing tradition several centuries old. Their numbers are constantly dwindling and some are untraditionally sweetening their products (post-fermentation) to make them more palatable to a wider audience. Gueuze Lambic is one of the hardest styles for a new craft beer drinker to enjoy. Now that may be a generality based on my own opinion, but it truthfully is one of the most challenging styles out there. Gueuze are very tart, funky, and lowly carbonated beers. In some ways, they tend to feel more like a very acidic wine than a beer. However, time and dedication usually shows that one can grow to become quite fond of this style. There’s a small group of folks out there who will even tell you this is their favorite style of beer. For me personally, I enjoy Gueuze much better when I have some food or cheese to pair with it. To just sit down and drink it by itself is not something I normally do. Because of the process to make these, they are available in limited quantity. While in Belgium the Bavik brewmaster took us back to their aging room for their aged pale ale where he gave us sample straight from the keg. The beer is aged for 18 months to as long as three years in 200 barrel oak casks. The brewmaster has to regular check the beer to taste how it is aging and if it is ready. There is no set time. Thus they can not predict their production or availability. These are an acquired taste. For those who have the palate for it, once you go sour you don't go back.